California’s legislative tiller has rolled its way through the new year, allowing for several new gun control laws to sprout from the seeds of last year’s bills. So far, the new laws have been subject to praise from UC Santa Barbara, Isla Vista, California and national leaders. I.V. and UCSB community leaders have oftentimes held vigils after mass shootings occur in the United States and around the world, calling for stricter gun control laws in both California and the country to prevent future mass shootings. To some extent, their calls seem to have been heard. Hannah-Beth Jackson, Santa Barbara’s state senator representing California’s 19th district and author of SB 1346, optimistically expressed approval for the new gun control laws. Although these laws encompass the entire state, UCSB’s past experience with gun violence oftentimes compels many local leaders and students to be more vocal about their opinions on the issue of gun control. In May 2014, a violent attack in I.V. left six people dead. Half died due to gunshot wounds. “[UCSB] students will support these laws by being reminded that we need to do more — this will give them an incentive to call for more action, particularly at the federal level to combat gun violence,” Jackson said in an interview with the Nexus. Combating gun violence has been an ongoing initiative in California, highlighted by legislative action taken by former California Governor Jerry Brown. While Gov. Brown did sign some bills addressing gun control, he also vetoed a number of them, some of which could have reduced the number of guns in the state, Jackson said. In the context of gun control, Jackson has high expectations for Gov. Newsom. “I expect him to be very supportive of policies that help reduce gun violence and keep our communities safe,” she said. Jackson believes her bump-stock bill, SB 1346, will have an impact in reducing gun violence by prohibiting access to bump stocks in California and will hopefully reduce the number of gun deaths in the state. “I’m happy to see that our representative Hannah Beth Jackson introduced SB 1346,” Jeike Meijer, Associated Students (A.S.) executive vice president of local affairs, said in an email. Meijer spoke at the vigil for the 11 lives lost in a Pittsburgh synagogue due to gun violence and then again at the vigil in remembrance of the Thousand Oaks shooting victims. Both mass shootings occurred in November. “Hopefully we’ll see the rest of the country follow California soon,” Meijer added. Brooke Kopel, A.S. president, believes the new legislation will be effective. “[Gun violence] is always on people’s minds, on prospective students’ minds, and I think that these kinds of measures are exactly what we need to have students feel more comfortable and safe in Isla Vista,” Kopel said. “Even though most of the students that are attending this university now weren’t here to experience the 2014 shooting, that legacy does live on through vigils and remembrances,” Kopel added. Still, Kopel finds that more work needs to be done and believes that a “cultural change” regarding guns is needed in the United States. Monique Limón, who represents the 37th Assembly District, has expressed hope for the new gun control laws in California, but also believes that there is still work to be done. Limón is specifically looking forward to the potential impacts of AB 3129, which imposes a lifetime ban on individuals convicted of domestic violence. “I am especially hopeful that AB 3129… will make an impact in reducing the rate of women and children who die at the hands of repeat domestic abusers,” she said in an email. Spencer Brandt, board president of the Isla Vista Community Services District, believes that California serves as a model for the rest of the country when it comes to gun control legislation. “As a resident of Isla Vista, I feel like my voice has been heard and that our calls for reducing the amount of gun violence in this country are actually being taken seriously,” Brandt said. While Brandt believes that California is an effective leader on gun control legislation, he does not think the federal government has been adequately following California’s lead. Congressman Salud Carbajal said that he’s fighting for just that: he wants pieces of California gun control legislation to be laws of the nation. Carbajal plans to reintroduce the Gun Violence Restraining Act in the House of Representatives. “[The Gun Violence Restraining Act] allows family members, when they come across a loved one that seems to be, through their behavior, posing a danger to themselves or others… to work with law enforcement, officials and the court system to temporarily take guns away from [that individual],” Carbajal said in an interview with the Nexus. “Far too many lives continue to be taken due to unnecessary gun use,” Carbajal said. Correction [Jan. 17, 12:11 p.m.]: Due to an editing error, a previous version of this article stated that most of the individuals killed in the I.V. attack died of gunshot wounds. Exactly half of the six killed died of gunshot wounds. This article has been correctly updated. A version of this article appeared on pg. 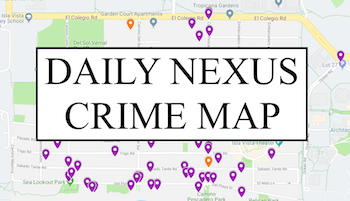 1 of the Jan. 17, 2019 edition of the Daily Nexus. 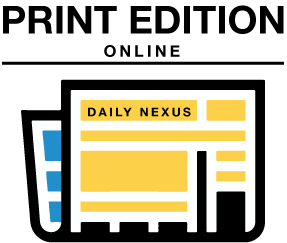 Simren Verma and Max Abrams can be reached at news@dailynexus.com. I was just reading about Venezuela, pretty much the same thing. fk cali. BS- one shouldn’t make up facts to bolster ones argument. 3 of his roommates were stabbed to death before killing 3 others with a gun. But I guess that doesn’t back up the narrative. How does this make it past the editors? “Senate Bill 1346: Bans bump-stock devices” – I thought bump stocks were already banned and had been so for years. With a max 10-round magazine, a bump stock will empty that magazine real fast like. Unless, of course, the shooter just buys a bunch of magazines in Arizona and takes them to California. Of course, if they are doing that, they probably have bump stocks too, which pretty much makes this law pointless. Idiots. You export your anti-gun crap and other states will tell you to show it. Nothing you put forth effects criminals who ignore laws. Half of these bills are already laws… author clearly didn’t do her research, which is typical of gun control advocates.